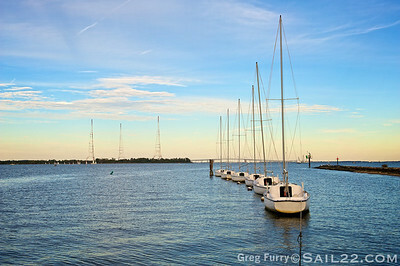 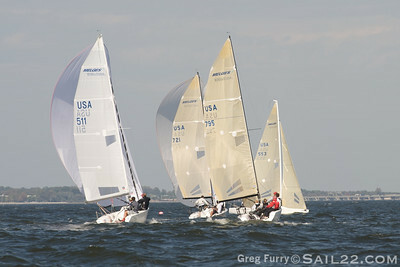 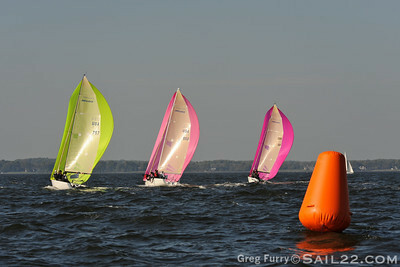 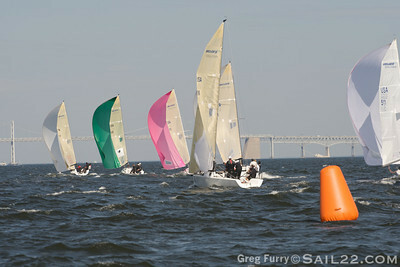 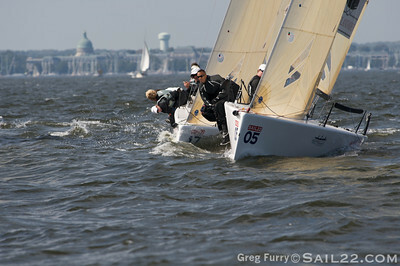 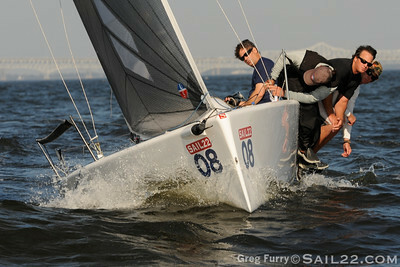 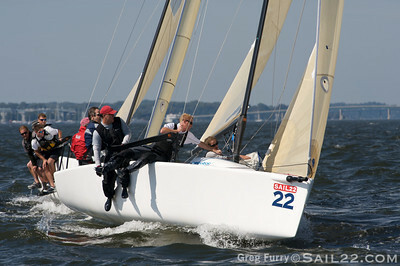 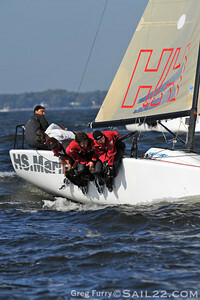 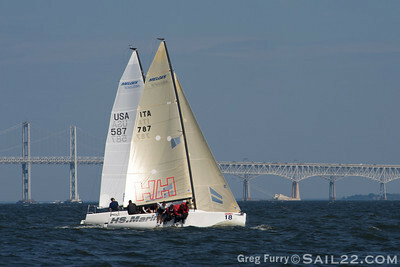 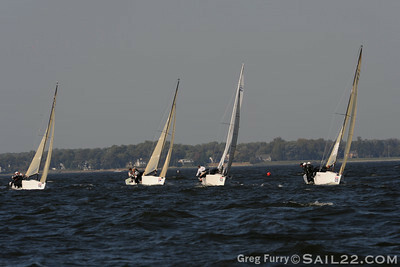 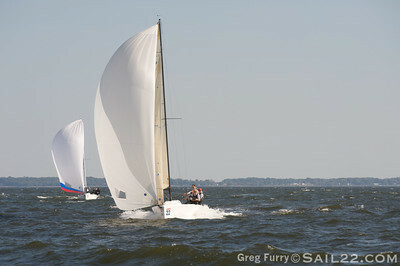 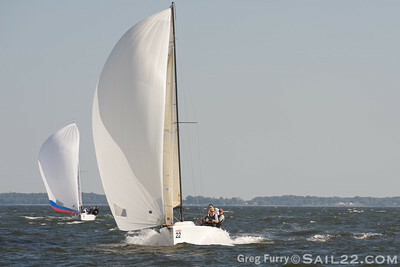 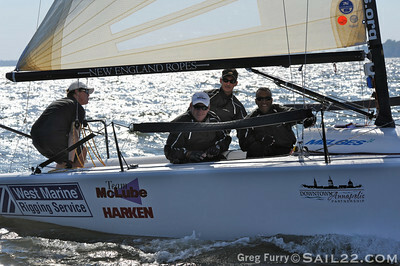 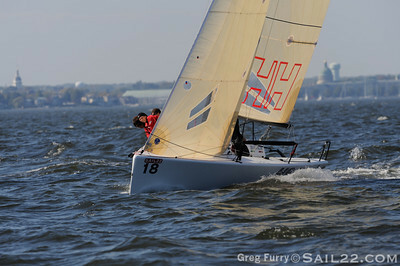 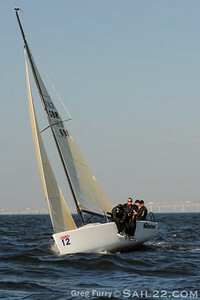 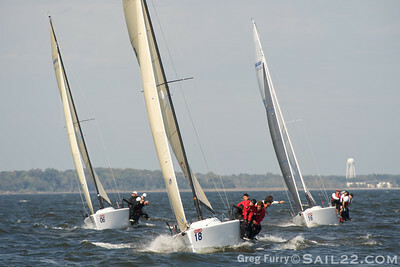 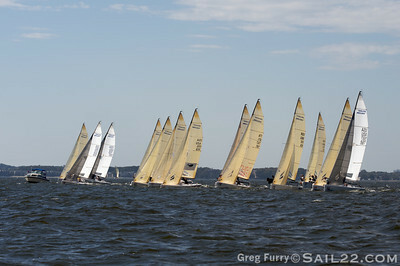 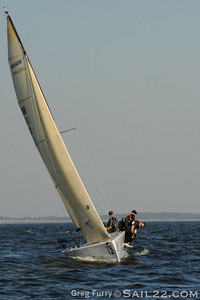 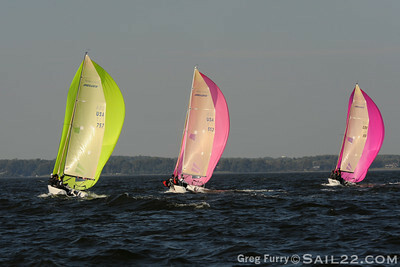 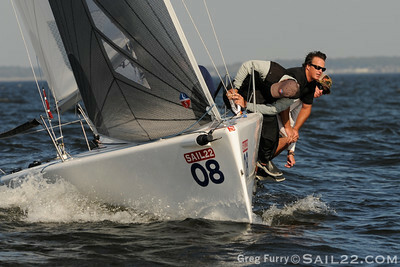 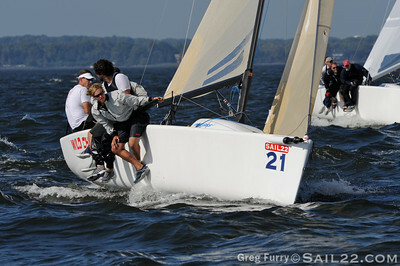 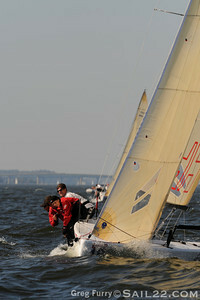 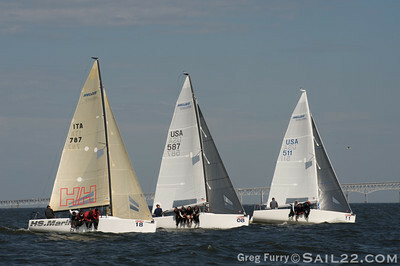 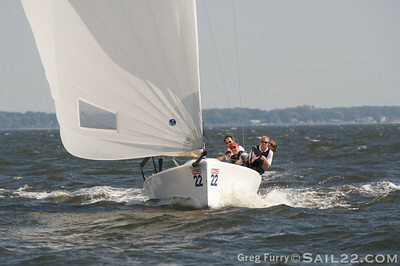 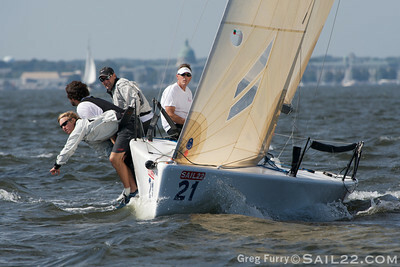 The first Sail22 Melges 24 Tuning Regatta was held October 8-11th in Annapolis, MD to prepare teams for the 2009 Melges 24 Worlds. 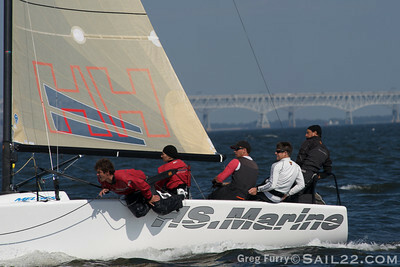 It was won by Chris Larson and his team on West Marine Rigging/New England Ropes who also went on to win the Melges 24 Worlds 2009. 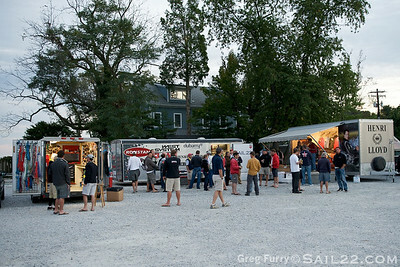 1st night. 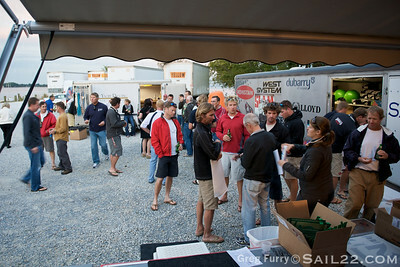 Getting all the paperwork filled out.